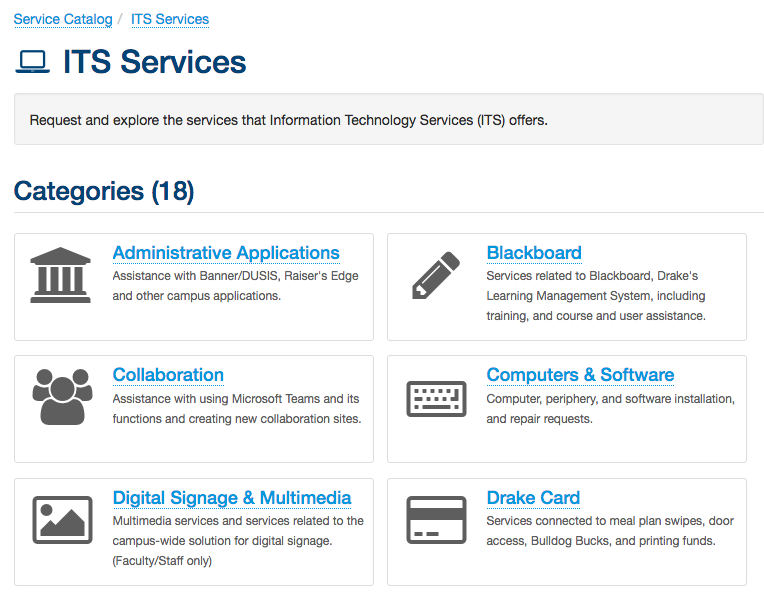 From the landing page of the IT Service Portal you can explore the services that ITS offers, find articles guiding you through technology tasks, and view the ITS News and Announcements. The site is divided into two main parts, the service catalog and the knowledge base. 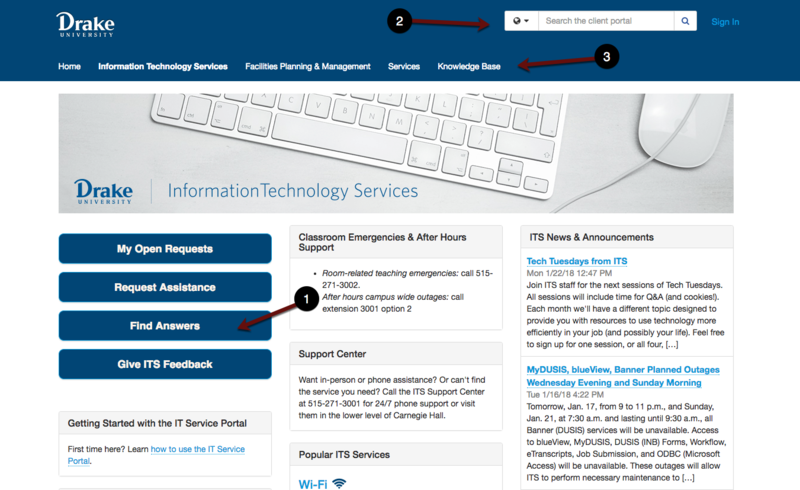 The service catalog is the listing of all of the services offered to campus by ITS, and the knowledge base consists of how-to guides to walk you through completing tasks like connecting to the wireless network, or downloading software. 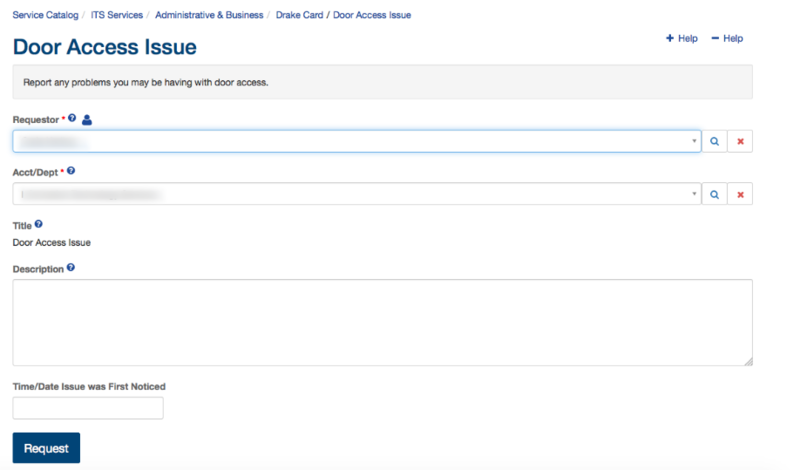 You can browse the system without logging in, but you'll have to log in with your Drake email address and password to make requests or to check on the status of open requests. 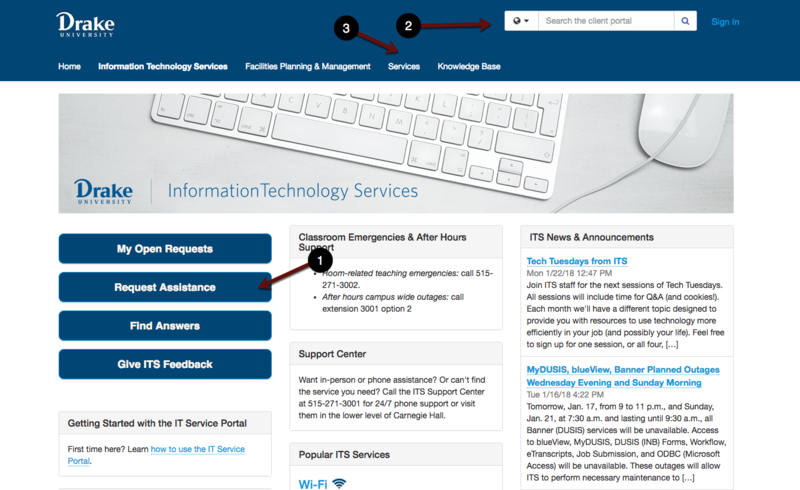 Using the search bar in the upper right corner (you can search just services, just knowledge base articles, or both by clicking on the down arrow). Services are organized into categories and in some cases, subcategories. 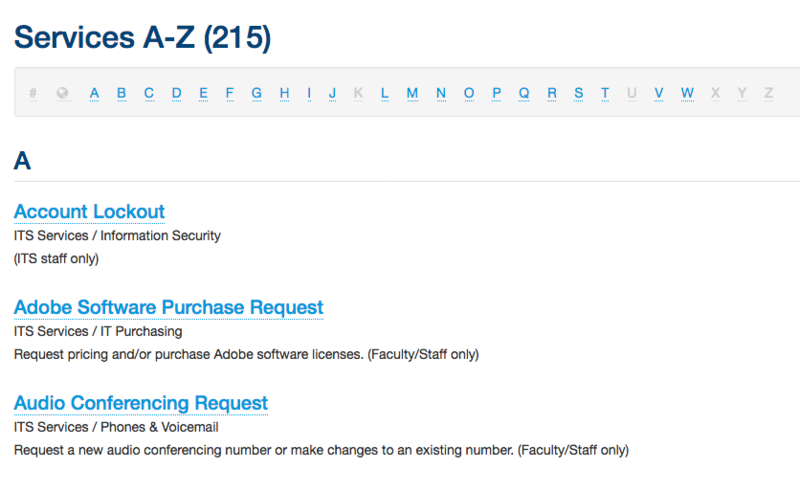 You can also browse for services by name alphabetically. 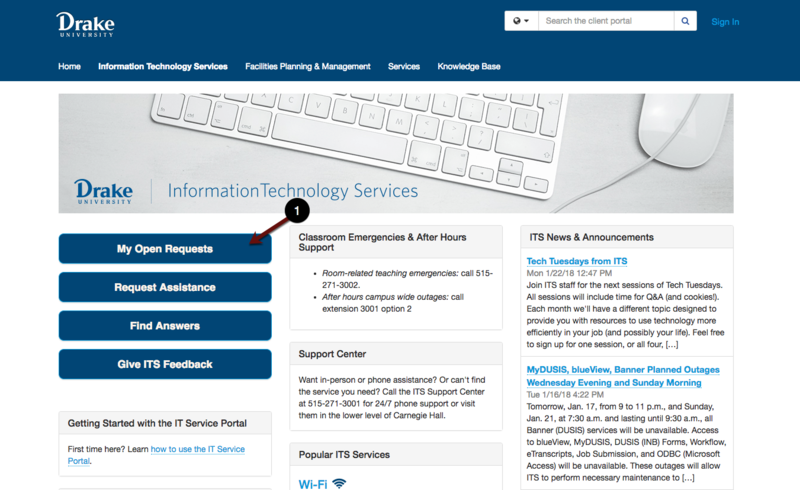 Once you find the service you need, click the Report Issue (Or Request Service) button and you'll be prompted to log in (if you aren't already logged in) in order to make your request. By logging in, the system knows who you are and has all your contact information, so you won't need to enter it. You'll receive an email from the TeamDynamix system once your request has been made and you can communicate with the ITS staff member(s) working on your request by either replying directly to the email, or by logging into the system and checking the Ticket Requests section. Have a service that you use all the time? Click the Add to Favorites button to add it to the My Favorite section. You will only see the option to favorite services when you're logged into the system. You can also remove services from the My Favorite section if you change your mind or your role changes. Have a colleague who needs to make the same request? 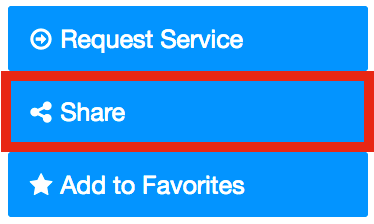 Click the Share button to email the service link to them. You must be logged into the system to share a service. 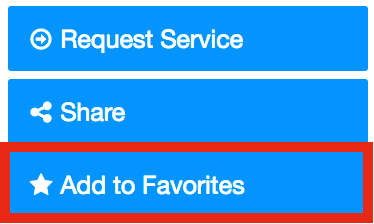 To access your Open Requests, click on the My Open Requests button. NOTE: You will be prompted to sign into the system after clicking the button. Once you log in, you'll see a screen like the one below showing all your open requests. 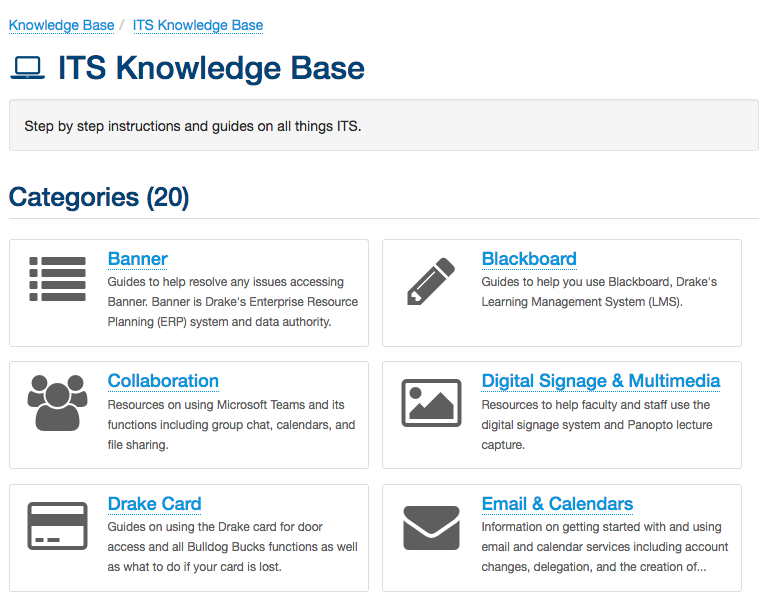 Visiting the Knowledge Base page. Knowledge base articles are organized into categories and in some cases, subcategories. Have a colleague who needs the same information? Click the Share button to email the article link to them. You will only see the option to share articles when you're logged into the system. Found the article especially helpful? Or unhelpful? Let us know by logging in and providing feedback.